American Mensa Academy Nintendo Wii NTSC Complete Nice Shape! Hard to Find! 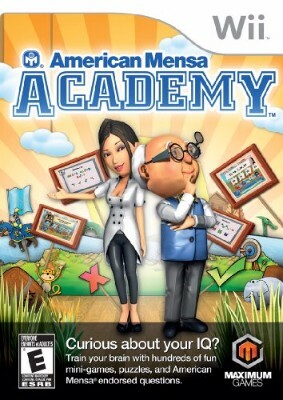 American Mensa Academy (Nintendo Wii, 2012), North American Version, Amazing!!! Very Rare - American Mensa Academy (Nintendo Wii) - Complete (CIB) Excellent!